Enfield celebrate their 4th goal, as Mathew Johnson taps home. 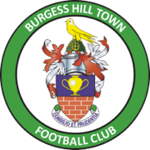 The Hillians suffered a 6-1 home defeat at the hands of Enfield Town, as the North London side jumped to the top of the table. Ian Chapman made three changes to the side who lost 1-0 at Tonbridge Angels, introducing Beck, Harding, and Pamment, for Fisk, Charman, and Brivio. The Hillians started the brighter of the two sides, playing some lovely football in the opening 10 minutes. However, the visitors took the lead on 15 minutes, somewhat against the run of play, through Liam Hope. 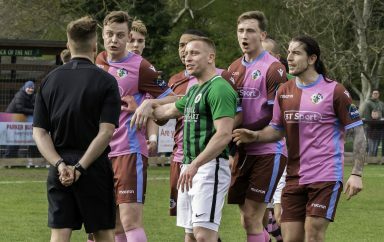 The Hillians’ first half went from bad to worse, as Enfield scored two quickfire goals before the break, with Johnson and Youngs finding the net. A plethora of goals at the Green Elephants Stadium, but not in the goal that the Hillians wanted. The second half saw much more of the same. 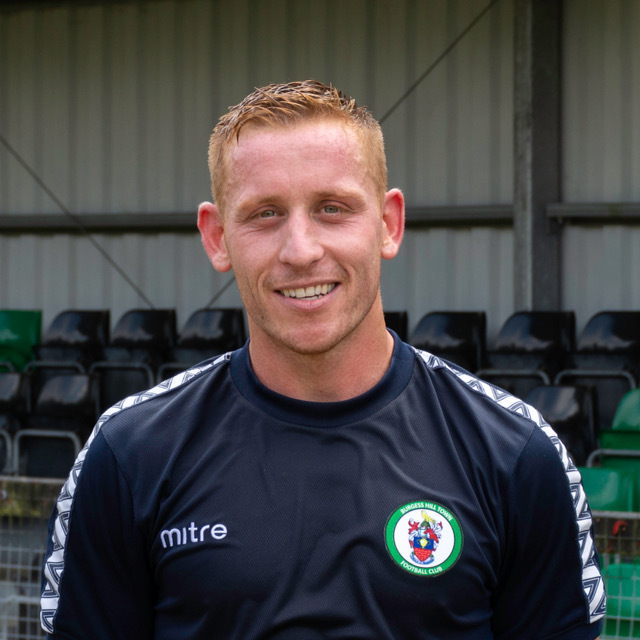 With Enfield very much on top, the travelling side added a quick fourth, before Hillians’ veteran Pat Harding got one back for Ian Chapman’s men, bundling in at the back post. Any chance of a comeback was thwarted almost immediately, with Sam Youngs adding a fifth for Enfield. The salt was well and truly rubbed in the wound with Blackman’s late goal, as Enfield Town returned up the M25 with 6 goals, and 3 points to their name. 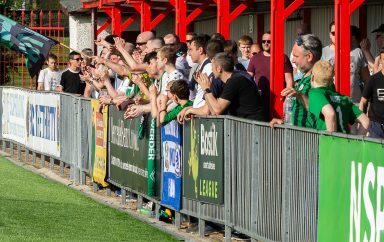 The Hillians will be looking to improve their performance, ahead of our Bank Holiday Monday trip to Worthing.